• Free email subscriptions to IL Daily (Monday through Friday) that reports the latest Indiana legal news. 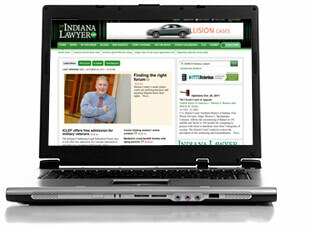 • Plus all the other content found on TheIndianaLawyer.com like ... Video, photos, advanced search capabilities, People on the Move and Blogs. Your subscription will renew automatically for 52 weeks at the rate in effect at the time of your renewal unless you notify us to terminate your subscription prior to your expiration date. You will receive an e-mail notification from ibj.com when your subscription is due to expire. The subscription fee will be billed automatically to your credit card at the beginning of your subscription at the beginning of any renewals.